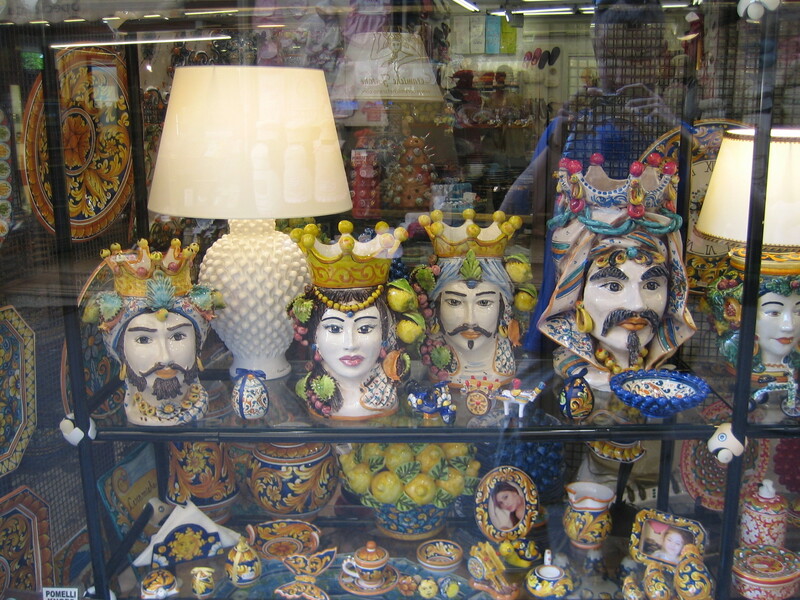 In the colourful city of Taormina, we saw these crafty porcellaine heads ... the style clearly shows oriental influence, although the artwork in itself remains European heritage. 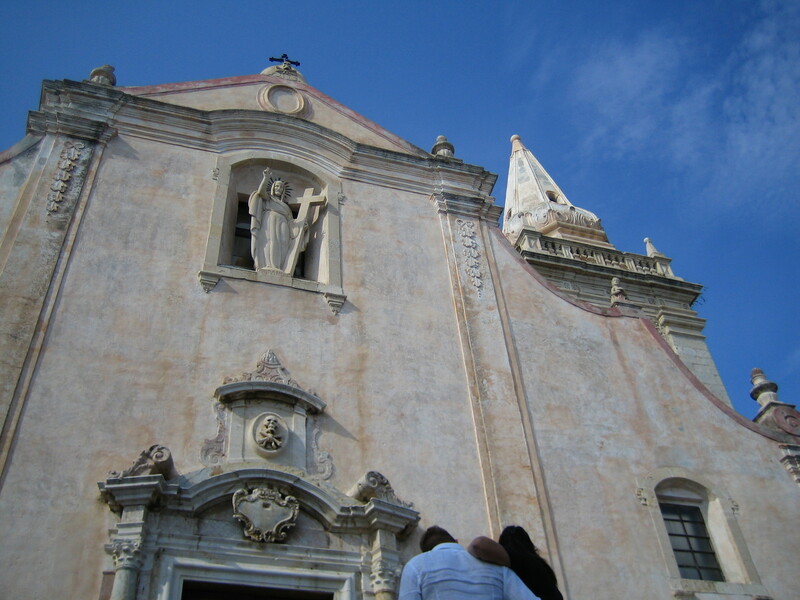 The massive facade of the cathedral was rounded and blank ... a pretty common style in this region. 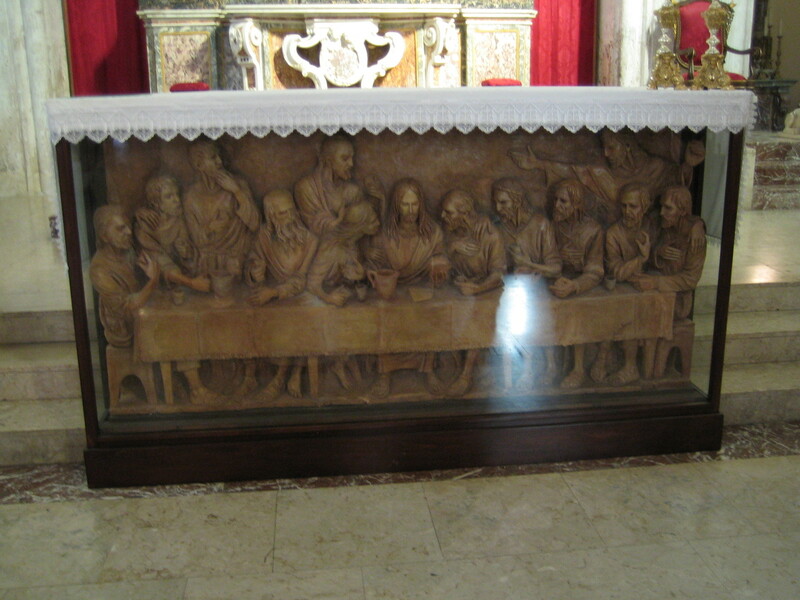 Inside the cathedral, you could see this carved relief of Jesus and his disciples at the last supper. 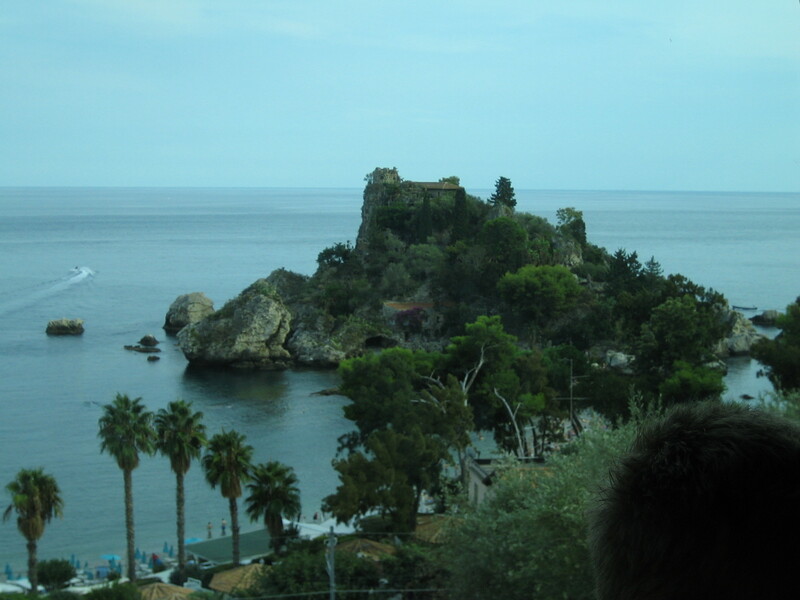 Side note: This rock in the sea looks like a good place for a castle, doesn't it? This content has been entered in the Erasmus Travellers Competition and have earned 108 points.